In 2019 - ARGIRELINE® peptide is still a leader in the cosmetic industry for its proven efficacy in attenuating the appearance of expression wrinkles. Anti Wrinkle Argireline Serum, described as a magic potion, is a powerful anti-wrinkle Hexapeptide, known as Argireline, Acetyl Hexapeptide-8, with a Botulinum Toxin-inspired activity. Our Anti Wrinkle Serum is an alternative to topical injections, this molecular cosmetic achieves the same, the relax of the muscles responsible for the formation of expression lines. This hexapeptide formula mimics the N-terminal end of SNAP-25 and competes with this natural protein for a position in the SNARE complex. As a result, neurotransmitters are note released efficiently and facial contractions are weakened and muscles relaxed, thus inhibiting the formation of wrinkles. Same as botulinum toxin but safer and smoother, this anti-wrinkle peptide, the first of its generation, attenuates wrinkles and expression lines, reducing the depth in 15 days or less, and the face becomes smoother. Anti Wrinkle Gold Serum is the absolute strongest and best anti wrinkle serum, to help prevent and reduce fine lines and wrinkles. A Powerful concentrate of anti aging ingredients that delivers Argirline along with other fine ingredients that penetrate the skin to give it a Botox effect. This formula also has soothing Aloe and cucumber extract. Cucumber Extract is a skin care ingredient that helps nourish, hydrate, smooth, soothe skin irritations and reduces swelling as it consists of high quantities of vitamin C and amino acids. Cucumber Extract is rich in vitamins, polyphenols, polysaccharides, minerals and other nutrients. Cucumber extract has skin care benefits for all skin types. Anti Wrinkle Gold Serum is the absolute strongest and best anti wrinkle serum, to help prevent and reduce fine lines and wrinkles. This is the favored wrinkle serum. Unlike many faddish cosmetics which freeze the skin and give only short temporary improvement, Anti Wrinkle Gold Serum helps your skin become firm, more supple, and velvety soft, now and for a lasting effect. If you are looking for an anti-aging product that produces AMAZING results quickly, look no further! "Anti Wrinkle Gold Serum" helps reduce the depth of the wrinkles in the face caused by the contraction of the muscles of facial expression, especially in the front and around the eyes. This Serum uses proven Argirilene peptides and hyaluronic acid to put collagen production in overdrive and help you to stay young and feel young. This super moisture and collagen enhancing serums 24K gold flakes disappear into the skin, pulling toxins out and gently opening pores to accept the serum. It removes old skin build up and infuses every cell with omega 3's that skin must have to be healthy. The softest of all metals, 24k gold made from real gold is a natural product, so that you can ensure a pure quality of gold that will not cause an allergy to your sensitive skin. When applied to the skin, it separates into ultra-fine, invisible particles and is absorbed easily. Gold influences the skin at a cellular level giving new energy, clarity and anti-aging control. These age defying flakes pack a punch of antioxidants to strengthen skin’s elasticity and firmness. 24 KT Gold also improve skin’s circulation, which decreasing skin inflammation. They also facilitate metabolism to help the skin cells self-produce, fight free radicals and restore the skin to a revitalized, hydrated and youthful appearance. 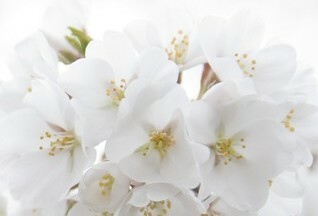 The skin feels fresh, glowing and revived. 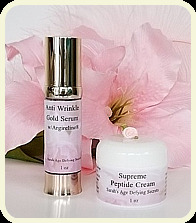 Anti Wrinkle Gold Serum is like a liquid face lift... penetrating cells, cleansing detoxifying, protecting, rejuvenating, rapidly delivering Argireline... your wrinkles will virtually disappear! Your skin will receive vital nutrients at the same time Hyaluronic Acid firms and moisturizes your skin… like it has never been moisturized before! All this means your wrinkles will get smaller and smaller everyday, while your skin becomes softer, smoother, more radiant and younger looking. In only days, you’ll look years younger... prettier... even envied by friends! wants to restore the beauty of their youth. They will LOVE you for it.